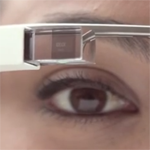 Google's official Glass YouTube channel released its first video today – a minute long introduction to Glass' most basic controls. The video is titled Glass How-to: Getting Started, which leads this writer to believe there may be more How-to's in the works. Impressively well-produced and perfectly simple, the video discusses Glass' gestures – tapping, swiping forward, backward, and down, and gives a very digestible explanation of the device's time-based card interface.